After being urged by her team, Emily (Vanessa Hudgens) sets her sights on the dating world but unknowingly falls for one of the Riddler's henchmen (guest star Robert Buckley). 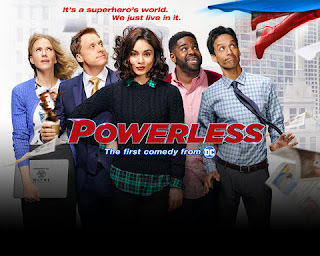 Meanwhile, Teddy (Danny Pudi) and Ron (Ron Funches) find a Batman artifact and discover Van's (Alan Tudyk) superhero fantasy. Christina Kirk also stars. Jennie Pierson recurs. THE LOST CITY OF Z - Check out the new trailer!